Who is at fault when snow or ice cause accidents? 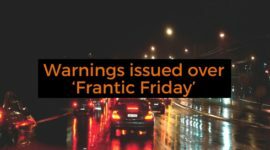 Britain has been gripped by freezing temperatures over recent days, with schools across the country staying shut and experts predicting a weekend of ‘rollercoaster’ temperatures. On Monday night, temperatures fell to -13C in Shawbury, Shropshire, and a yellow weather warning for ice has been issued by the Met Office, covering the majority of the country. Although temperatures were generally milder on Tuesday night, the cold weather is set for a return over the coming weekend. Accidents out on the roads, pavements and pathways see a massive upsurge whenever we have snowy and icy weather. 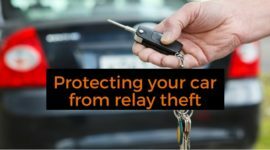 If you are injured in an accident whilst braving the cold weather, you may be wondering who is to blame and whether it’s possible to seek justice. There is a good chance you may be able to make a claim if you have had an accident in cold weather and it wasn’t your fault. Can you hold the council to account? Many accidents happen because councils have failed to clear roads and paths of ice. Though it is possible to hold local authorities to justice over accidents related to cold weather, it is certainly not easy. There are many reasons why people find it tough to claim against councils for such accidents. Courts tend to hold back when it comes to holding councils to account for such matters, and it’s often said they rarely judge in favour of claimants for fear of “opening the floodgates”. Courts may also take the view that councils need to grit primary road routes over lesser-used ones, and that they do the best job they can with the weather information that is available. Busier pavements are also more likely to be gritted than quieter ones, and judges may decide that it is impractical for local authorities to keep all streets, roads and pathways free of ice. Had an accident at work due to the snow and ice? Your chances of making a claim for a snow or ice-related accident are generally more substantial if your injuries were sustained at work, or were caused by another driver. If you slip at work because a surface wasn’t gritted, there’s a good chance you will be able to make a claim. 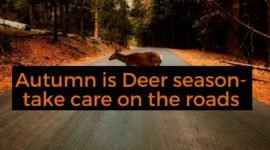 You may also be able to claim if someone crashes into your vehicle after skidding on ice because they weren’t paying sufficient attention to the conditions of the road. At One Call Accident Management, we have vast experience when it comes to helping drivers move on with their lives and get back on the road after traffic accidents. If you have been caught up in a road accident due to the recent weather conditions, then please get in touch. We do everything in our power to remove the inconvenience, confusion and obstacles related to being in a road accident, and you can contact us at any point if you do have any queries about what we can do for you. We provide UK-side assistance around the clock and can transport your vehicle not only across the UK but Europe too. We can swiftly arrange the delivery of a suitable replacement vehicle and can direct you to a trusted and approved bodyshop to repair your car. To contact us today, simply call 0800 999 4042 or send an e-mail to contact@onecallam.co.uk. 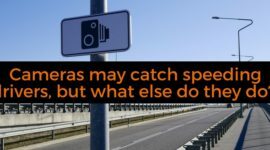 Cameras may catch speeding drivers, but what else do they do? 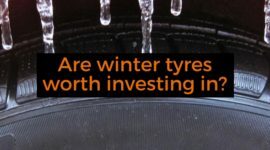 Are winter tyres worth investing in?